Both LG and Samsung are at IFA 2016 this week showing off new wares. Among the choice hardware on offer this year from the pair of Korean powerhouses will be PC gaming monitors. Proving great minds think alike, both LG and Samsung will debut large curved widescreen monitors with FreeSync on the IFA show floor. 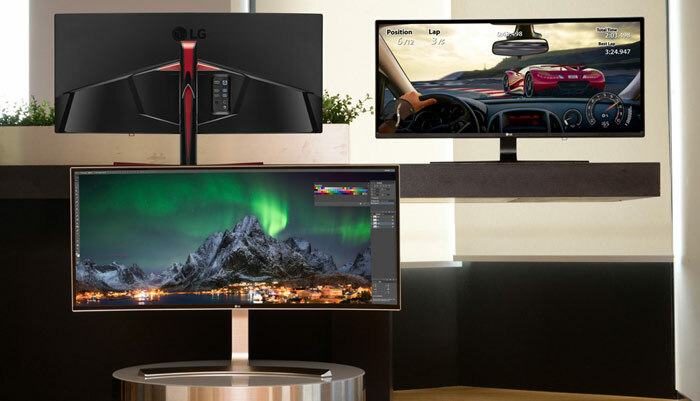 LG has published a press release concerning the launch of two monitors; a 38-inch UltraWide curved monitor (model 38UC99) and a 144Hz IPS 21:9 Curved UltraWide gaming monitor (34UC79G). The LG 34UC79G is a 34-inch curved gaming monitor. 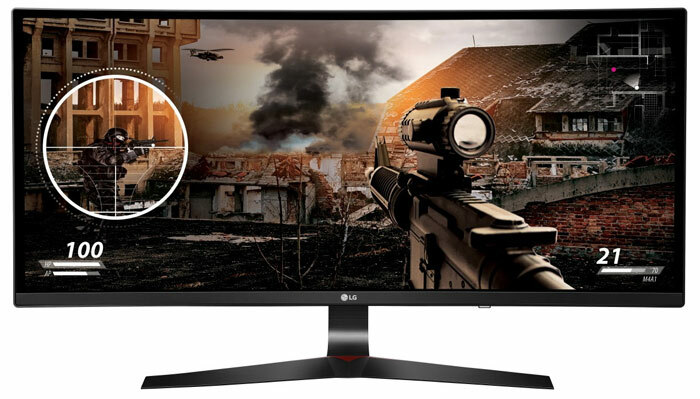 Its IPS display can refresh at up to 144Hz and features "advanced one millisecond Motion Blur Reduction".This 21:9 monitor supports AMD FreeSync for smooth gameplay and has other gaming considerations such as various profiles – an often-present gaming profile allows you to see things lurking in shadows. Furthermore, the screen offers crosshair options, and a mouse line hook to prevent your mouse tail dragging on the desk. 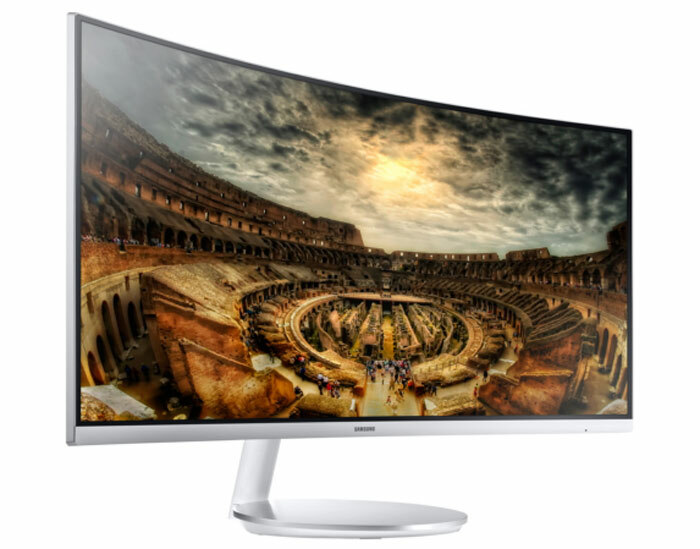 At IFA Samsung will be showing off a trio of new curved quantum dot gaming monitors. There is the CF791 monitor, which uses a 34-inch, Ultrawide 21:9 aspect ratio, 3440 x 1440 screen. Its curve is rather pronounced at 1500R. This monitor offers a 100Hz refresh rate, with FreeSync, and a 4ms response time with ultra thin 'boundless' bezels to three sides. Samsung will also show off its 23.5-inch and 27-inch CFG70 gaming monitors. This pair of monitors, like the CF791, sport Quantum Dot technology screens which can output "a 125-percent sRGB spectrum". The wider colour gamut should provide your peepers with richer and more revealing imagery in games. Samsung's CFG70 monitors are less strongly curved than the above mentioned CF791, with their radius of 1800R. For gaming performance, again you have FreeSync support and the CFG70 models feature up to 144Hz refresh and "1 m/s moving picture response time". Samsung range of gaming monitors also offer various presents and profiles. I used a Samsung C24F390, for a few days, only to find that the curved screen just seemed really odd. I searched for practical reasons, or any proof, as to why a Curved screen is better and I found… absolutely nothing. There's zero reasons to own a curved screen other than marketing and pointless bragging rights. They do look nice though. I can imagine a curved screen having little benefit at smaller sizes. At 38" though, maybe it's benefits would be more apparent? I'm waiting for the 5120x2160 screen announcements, for me it's not worth going for a high end screen without the superior text quality HighDPI provides. Smaller viewing angles to the edge of the screen, meaning less distortion from the matrix (IPS glow etc.). Although of course the trade-off is that you get geometry distortion because everything outputting to it is expecting a flat screen. The wider colour gamut should provide your peepers with richer and more revealing imagery in games. A.K.A. more lurid colour than the game designer intended. Wider gamut either needs software support in place or they need to start introducing it alongside 10-bit colour depth so all 8-bit signals can be treated as sRGB. I've been hankering after a 21:9 for a while, but nothing quite hits the spot to warrant the outlay. 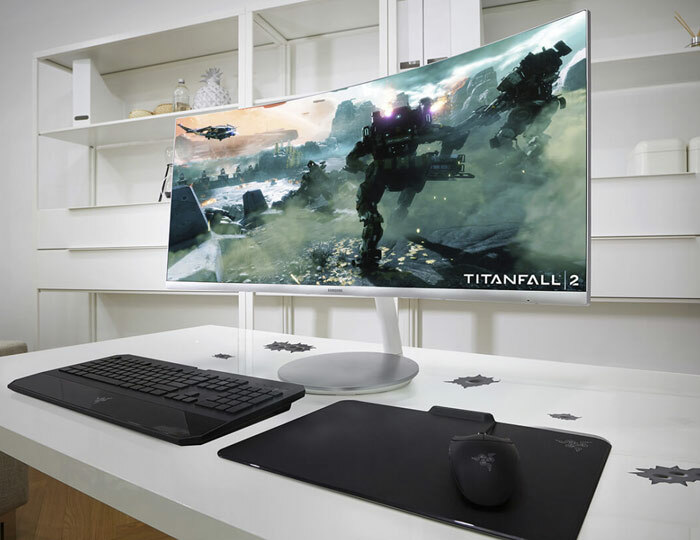 For PC gaming, at a desk, 34“ is really the maximum limit for the vertical space to get too much, you land up looking around the screen to see what's going on. And at 34” it must be over 1080 res. 30“ @ 1080 or 34” at 1440 seems to keep the pixel density about right. IPS is a bit lack-luster - whilst far better than TN, it just doesn't offer the blacks and static contrast ratios of a VA panel. I don't think any of these are VA unfortunately. - > 60Hz refresh rate (frankly, 72Hz would do). Not interested in speakers, who'd buy a swanky gaming monitor and then use built-in speakers? Well, amazing that they made a 34 inch with 144 but why no Gsync? AMD doesn't have a card to do that, even in crossfire.